Mi ci è voluta più di una settimana ed il riascolto di parecchi brani degli EWF per metabolizzare la perdita del fratello Maurice, uno dei compagni della mia crescita musicale.Sinceramente fa più male adesso di quando si è venuto a sapere.Mi piace pensare che sia diventato tutt’uno con quel mistico universo egittologico anni 70-80 ritratto da Shusei Nagaoka che tanto mi ha fatto fantasticare ad ogni canzone e che era il perfetto sfondo per la soprannaturale armonia di voci, ritmi e fiati creato dalla band.Con gli anni ho ritrovato il suo stile nell’omaggio di altri grandi,per esempio in “Palco”di Gilberto Gil o in “T.V.U.M.D.B.” di Elio e le Storie Tese:è la prova di una straordinaria eredità che non potrà mai essere dimenticata.Grazie per i sorrisi e per le lacrime. Queste parole sono il minimo che potessi esprimere, con la più profonda Gratitudine. It took me more than a week, listening again to several of EWF’s tracks, to realize the loss of brother Maurice, one of the fellows of my musical growth.Honestly, it hurts more now than when the news spread.I’d like to think that he’s become one with the mystical egyptological ’70s-’80s style universe,portrayed by Shusei Nagaoka, which made me fantasize so much on each song and was also the perfect background to the supernatural harmony created by the band’s voices, rhythms and horns.Through the years I found back his style into the homages paid by other great artists such as Gilberto Gil with “Palco” or Elio e le Storie Tese with “T.V.U.M.D.B”, just to name a few:it’s the proof of an extraordinary legacy that will never be forgotten.Thanks for the smiles and for the tears.These words are the least I could express, with my deepest Gratitude. Mr. White, I don’t know where to begin with all that you’ve meant to me. Your songs and lyrics were/are inspirational forever. Your words span beyond music. I am eternally thankful and grateful to have been introduced to your music. My very first concert was E, W & F, in Omaha, Nebraska. Needless to say, I was entranced forever. Thank you for all that you’ve emparted on the world with your music, spirit and energy. You truly were “All About Love”. May your soul rest in eternal bliss and peace. Maurice, rest in heaven! Thank you for giving of your soul through the energy of music. Your legacy will forever be felt! I love Maurice and the rest of Earth Wind and Fire. Their energy and music enriched my life and fortified my heart and soul more then he or they can know. God bless you all. Rest in Peace, Maurice. The love and beautiful energy of this Band and their musical and vocal skills enrich us. Thank you all for you magnificent contribution to the Earth. LOVE. I just hear the news about Maurice White passing at the Grammy Awards TV Show. As sad as it is, it was his time to transcend to a better life where he will still be looking over all of us. I grew up with EWF on my heart, they were the best band ever then and are still the best band now.. I still listen to all their music like if was yesterday back in the 70’s. ” Reasons” is an unforgettable love song. My thoughts and prayers go to all the members of his family. God Bless you and rest in peace. Thank you Earth Wind & Fire. I just found out that we lost Maurice White Feb 15th 2016. I was sadden by this great lost. I left for Miami Feb 2nd 2016.I didn’t hear about Maurice passing until Mon. nite when they did a tribute to him on the Grammy awards. I was very much sadden by this news.God Bless Maurice’s. He was so special to me. Maurice White a true legend, songwriter and singer. I followed EWF since day one. Went to all of your concerts in LA, Ca. you will truly be missed. While going through my divorce in 1981, EWF kept me sane. Listened to Fantasy over and over and over. Thank you, Maurice for sharing your talent and spirit with the world…you will be missed. Che dire, se ne va una parte della mia adolescenza, un uomo con una voce stupenda. There are no words, really, except I love you, Maurice, and have missed you for years already. The magic spirit of my favorite band, favorite music of all time will always be with me and the rest of us when we hear your unmistakable voice. Love to Verdine, Ralph, Philip and the rest of the family who carry on in your spirit. Blessed by your music, graced by your talent, & inspired by your family bond. May you rest in peace, & your music will live on. So grateful to see you in concert in Dublin, Ohio What an amazing concert. God Bless! Thank you for the music Maurice ! Your music is living in our hearts ! I will keep on playing your music for the rest of my Life ! I believe I was in college when I first got into Earth, Wind, & Fire. The music spoke to me. Then I attended the SPIRIT concert, it took my breath away. The sophistication, theatrics, and just plain good for the soul music made me an EWF fan for life. I can probably tell the story of my life through Earth, Wind, and Fire’s music or music co-written or producted by Maurice. Maurice was a master with words and knew how to tug the strings of your heart and make you see more than the obvious. I’m so sorry he’s gone but his music will last forever. Maurice ‘REESE’ White was a pioneer and innovator of some of the most astounding music ever created. He was and always will have an impact on the music genre for many years. I will always be grateful for the things I learned about his style of music that was always perfected in many ways. I was just mentioning about his passing to a young African-American man in his 20’s who doesn’t even have a clue who Maurice White is and his contributions through Earth, Wind and Fire, jazz, pop, soul and creativity to the music world, not only as an African-American, but as an intelligent and gifted man. It is a terrible shame that most of our young African Americans of today wasn’t shone the musical attributes this man possessed and how he was and still is a positive influence on the culture of music.. For me, this made me a better musician and I am truly grateful for it. I remember back in the day during my years at Morgan State University when our marching band played a number of his tunes. Today, I honor this man and his legacy and will play all of his tunes in my home and work. Thank you Maurice for blessing us with your gifts and talents. Godspeed! my brother. Although I was born decades after Earth, Wind and Fire was founded I have always been a fan ever since I first heard their songs. I remember watching the live concert DVDs with my Dad and how stunned I was by Maurice’s incredible voice and his genius style. He was so fresh and smart in all senses, I really admired him. When David Foster paid tribute to him a few years ago I literally had tears in my eyes. To me Maurice is one of the greatest musicians of all time. My generation is missing a brilliant mind like his. The music he has created is my timeless, all-time favorite and I wish I was born during that era so I could have witnessed greatness live myself. Your legacy will live on, Maurice. You have blessed us all. Brother Maurice White rest in peace. Thank you so much for the passion,inspiration and love you shared with the world thru your music. For me, growing up in the 70’s Earth Wind & Fire, Stevie and The Jackson Five was musical heaven. You gave me courage to sing and deal with some of life’s challenges thru music. I have never meet you, but I love you like a brother. Lembrarei sempre de vc quando ouvir suas musicas inesqueciveis. As we know, our time on this plane is limited. Sooner or later we all have to leave for a better place. I am still saddened by the news. I grew up listening to his music and message. R.I.P brother, RIP. There will never be another song writer or band to spread the message of love the way he did through Earth, Wind, & Fire. Thank you Maurice for all the great music that you and the rest of Earth Wind and Fire have made. Your music has so many great memories in our house. My son who is 3 years old is obsessed with Earth Wind and Fire. We are so hoping to take him to an Earth Wind and Fire concert whenever they make it back here to TX, but I know it will not be the same without you. Thanks you all, my son loves to sing and is being exposed to all types of music that he loves. May you rest in peace, and make sure to keep the good lord dancing with your great vocals. Non è facile descrivere con le parole quello che io provo quando ascolto gli EW&F, la voce di Philip e Maurice, i fiati, gli archi, il basso e la kalimba che suonano all’unisono e che creano una moltitudine di emozioni; quello che penso ogni volta che ascolto EW&F è “sembra fatta apposta per le mie orecchie e per la mia mente”, non chiedo di meglio, non mi stanco mai di ascoltarVi, è ciò che mi serve, non ho bisogno di altro. Ascolto, anzi contemplo gli EW&F da quando mi sono accorto che c’era la musica: un ragazzino che ogni mattina prima di scendere dal letto accendeva il giradischi e metteva Let’s Groove, era il modo migliore di iniziare la giornata (non per mia sorella che dormiva nel letto accanto). Ho avuto un tonso al cuore quando ho saputo di Maurice; è come se un pezzo del mio mondo si sia staccato e perso per sempre. Grazie di essere esistito Maurice. to the white family. in times of tears remember the laughter in times of sadness remember the smile in times of lonelyness remember the love you share.to the band in your lost keep your head up may god be with you. love ya. I never felt so alive than when listening to EWF. They were the soundtrack for the world. And Maurice was the guiding light. His body may be gone, but his voice will be eternal. In 42 years of listening to the words of Maurice White, he lived up to the billing; he never let me down and in the process saved my heart and my mind more often than I can possibly count. I caught on to his creation–Earth, Wind, and Fire in 1974, but it was 1975 with their masterwork That’s the Way of the World where I knew Maurice was talking directly to me and in my pivotal 16th year of life that was so fabulous, but so confusing at the same time Maurice’s words in that album, especially All About Love, gave me the strength to be me! As the years went on there was always at least one, if not more songs per album that reinforced that message. And I came to realize all he was really doing was telling me everything my parents already had, but he made it cool and relevant!! And that voice–so rich, so powerful, and so one of a kind. It always went right through and around me. There is NO DOUBT in my mind that Maurice heard those words last night. Such a bright light that touched millions of hearts with light, positive energy, and love. THANK YOU!! Whenever EWF was in the MD/DC area for a concert, especially at the Carter Barron, I was always there. Love all the instrumentals, know all the words to all the songs and keep many of them in my heart, even bought my own kalimba. I raised my daughter on EWF. Can’t express how much EWF means to me and the wonderful memories that come up whenever I hear “early” EWF. Thank you, thank you, thank you. Maurice White and EWF somehow knew how my little heart envisioned love of life, people, God, and the earth. How could Maurice just know how to perfectly usher you into sheer happiness the way he and EWF did? It’s because Maurice was a gift from God and so was EWF. My Mom a music lover bought all the EWF albums when I was a little girl in the seventies. I was exposed to the most beautiful black music era ever and I chose EWF as my favorite group when I was 10 years old, because they touched my heart and made me happy. I would look at their album covers and feel joy because the exuded joy. I will never forget I was about 11 years old and my Mom told me one Saturday late afternoon to shower and get dressed she had a surprise for me. So me my Mom and a few of her friends all packed into the car and I was blindfolded for the ride. When we got to our destination my Mom removed my blindfold and we were at the Capital Center here in Washington, DC, and I ask my Mom what is this place, and she informed me we are here to see Earth Wind and Fire’s concert, and I screamed!!! The concert was unforgettable joy, fun, and happiness. Those voices, those horns, those lyrics will fovevrer be love for me. I love you Maurice White, I love EWF, and I sincerely thank you for your wonderful gift of music. Rest in peace. ..a thirst that will never be quenched.. I love you Maurice. Thank you for accepting, guiding, and partnering with PB. I am nearly certain my choice to study African & African-American History in college was inspired by your representation of the art you mastered. Bless You Always and Forever. I remember listening to my parents EWF albums when I was a little girl in the 70’s and staring at their beautiful album covers for hours while listening to my Daddy’s stereo system. He had one of those big wicker chairs, which was my favorite to sit in when I listened to my parents records. I’d put on those gigantic headphones and zone out. EWF sparked my obsession with Kemetic history and the music has always uplifted me for my entire life. ” The genius of Mr. Maurice White” – True words spoken by Phillip Bailey during many of the Amazing concerts I have attended thru the years. I would like to say Thank you to Maurice for his incredible vision in creating the ” Baddest Band in the Land” and the kind of music that has been such a huge part of my life ( 44 years and counting ) An EWF song is never far from me where ever I am and the range of songs just seems to cover every and any mood I may be in. I have several EWF play lists for the gym on my phone as well plus my children have all grown up with your music and now have their own favorites. ( mine is Thats The Way of The World ) While the loss of you saddens me, I am truly grateful for your gifts as your legacy will last forever – My only regret is that I never had the pleasure of meeting you in person although you did sign my photograph I sent to your studio back in 95 so I still get to see you and the guys overtime I walk down the hall where its hanging ! You will be missed – Thank you ! OK, I loved Reese since I was 14. I heard “September” in November 1979 and I was hooked. He was there for me when my parents were drinking and fighting, through his lovely music, and the sentiments he taught. Through my lonely twenties, he was there. Through my dysfunctional marriage, he was there. Subject of all my fantasies, star of my dreams, and I couldn’t go before the Lord without mentioning his name. During my 20’s, I wrote him a letter, pouring out my love, signed “your devoted Darlene”, as that was my name at the time. One night, I got a phone call, and it was Reese. We talked about all sorts of things: Pythagorus, both of us being ‘chord freaks’, his son Gibran. (also found out he wasn’t married–yay!!) He told me Christianity was too narrow for him, and since then I’ve been praying for his soul. If only I could know that Maurice went back to his Baptist roots and found Jesus before he died. He wasn’t just another artist to me. He was my dream man that I adored constantly and from afar, but in the end, I wanted his soul for Jesus, not for myself. I’ve always felt a special connection between myself and Maurice that even I can’t explain. But when he died, I was devastated. I’m still kind of a mess, holding onto God for dear life. Though we never met, Maurice was the husband of my heart, and him whom my soul loveth. I suppose alot of people with disabilities like me, denied in life the things we yearn for the most, find in fantasy those things which we are denied. But that would be a facile explanation. Maurice was everything to me, is still everything to me, and I hope there’s an alternate Earth somewhere where Thea and Maurice met, fell in love, and married. I’m grieving real hard. I love you, Maurice. Maurice the soundtrack of my childhood. .. R.I.P. Per un modestissimo ex musicisa come me, Maurice è stato un punto di riferimento assoluto. Grazie maestro ! E che gli angeli imparino da te come si fa musica …. For a modest ex musician like me, Maurice and his music have been an absolute point of reference. Watching you and Chicago at The Greek Theatre years ago performance reminds me how you have been there throughout my life and made the long years so much richer and better. The love and joy you all share in your music will live on forever whether in this world or the next. I feel privileged to know all of you through your wonderful music and the gifts of it you have given humankind. Sempre será lembrado. Que Deus o receba em sua glória! Thank you Maurice for all. All N All , Maurice’s spirit is in Heaven. The love for Maurice will never be gone. I will keep my head to the sky so I can again see you and all my love ones in the here after, in God’s house of many mansions. The ‘Earth’ reflected the compassion in the words of the music that you wrote, the communication shown via the ‘Wind (air)’ from your spirit and the ‘Fire’ reflected in the Sagitarian ‘Jupiter’ passion of the music was the guiding force for Earth Wind and Fire and is your “Hertiage’ and legacy to the world. You through EWF provided the musical sound track to my life….lifting me when I was at my lows, encouraging me and helping me to always ‘Take It To The Sky’. Thank you for Your ‘Star’, which through the spiritual force of your music will always be shining for those with enough consciousness to understand , those who love positive music, those who need to be uplifted in ‘Spirit’, those who can appreciate the message and those who just love great music. Thank you for your life, love, musical gifts and ‘Gratitude’ shown to the universe. You are gone from this earth plane, but NEVER will be forgotten. Rest in heavenly peace for a life well lived and a message well delivered. My entire life has been filed with Earth, Wind & Fire. In 2012 I picked up my 1st Kalia in Los Angeles & life hasn’t been the same since. Words of power is the best way I can describe EWF music. Just as in the great song “Take it to the Sky”…Life is the word you live, strong as the vibes you give. 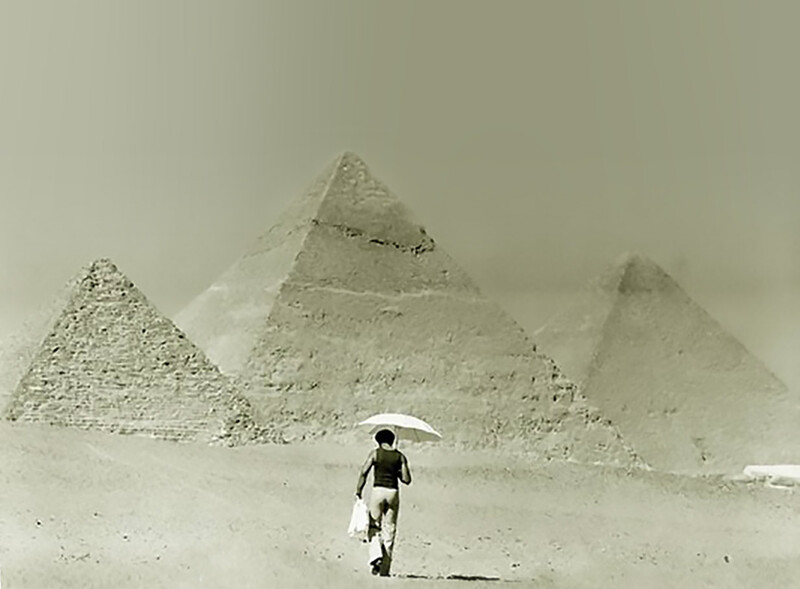 I honor & appreciate you Maurice White. Umetoka kwenye jukwaa la muziki lakini sauti yako roho yako bado iko nasi…asante sana kwa kutupa nyimbo zisizo na mwanzo wala mwisho. Depuis 1979 que j’écoute et adore EWF et Maurice White. C’est un élève américain dans ma classe d’école en 1979 qui m’a fait découvrir le groupe. Depuis là je ne cesse d’écouter les rythmes fabuleux et incroyables et inégalés. Ce groupe et Maurice White sont pour moi l’essence de la musique du 20ème siècle. Rien de meilleur n’a été crée musicalement depuis leur début. Such a beautiful strong voice that will be missed here on Earth. Thank You for the great music you shared with all of us!! RIP!! I am saddened that Maurice White has transitioned from this life. He has definitely helped me with songs like Shining Star and Touch The World. In a world full of negativity and craziness, we need more positive vibes than ever. Those songs helped me to get through both High School and College and a better person because of Mr. White. RIP and many prayers and blessings to his family and friends. An another star will be shining into the sky of our wonderful music world. This star, it’s you, Maurice ! You were and will stay a legend for many people all around the world like me. Best thoughts to his family and friends during these sad times. Legends like Maurice, will live forever. Merci beaucoup pour votre musique ! I still have part of my concert ticket to my first EW&F Concert in Memphis. Thirteen years old and have remained ever delighted with this more than electrifying group and of course it’s founder, Mr. Be Ever Wonderful Maurice White. Get Away was playing the other day and because no one does the Sow, ah Wo woes like Maurice, I turn it back just to hear that unique voice resonate. My beloved tween-age son, suddenly broke out in the whoa, I-ahoe & yeah. I loved his attempt to mimic Mr. White. Of course ending in telling him that THIS, IS REAL MUSIC…FO REAL!!! Thank you for using your gift and sharing this very timeless music. Thank you for all the EW&F Family Band members for being drawn together. Do I need to say it..I love you all. Rip Mr. White. Maurice White thank you for sharing your beautiful talent of music with all of us. Rest in Peace. You will be missed.